Here I sit again, talking about my needlepoint projects as usual. 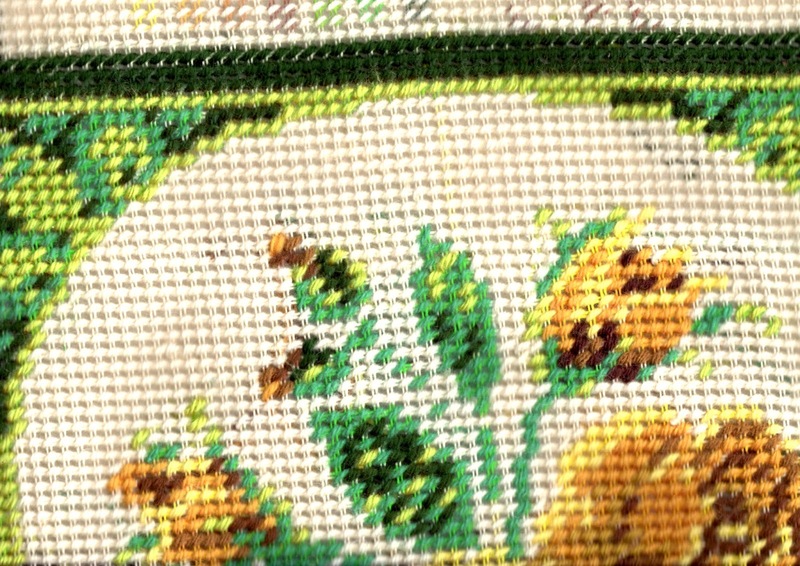 I have told you I have many needlepoint projects to finish. This is one of them. This is how it looks like now. As you see, it is a FO on my part. Now it is time for my trustworthy Framing Man to do what he can. I don't know when I send this to him, but I hope I can do it soon.